I’ve taken the liberty to include some of our favorite pets we’ve worked with. Well, they may not actually be pets, but they found their way into our hearts. 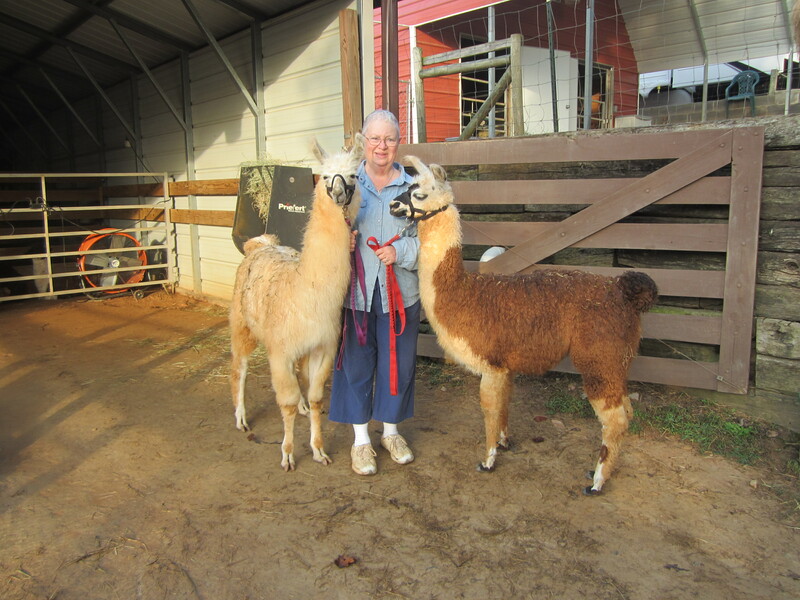 During the summer of 2012, Carol and I parked our RV at Windy Valley Llama in Blue Ridge, GA. We enjoyed our stay there, worked with some fantastic folks and fell in love with some beautiful llamas. Say hello to Sushi. 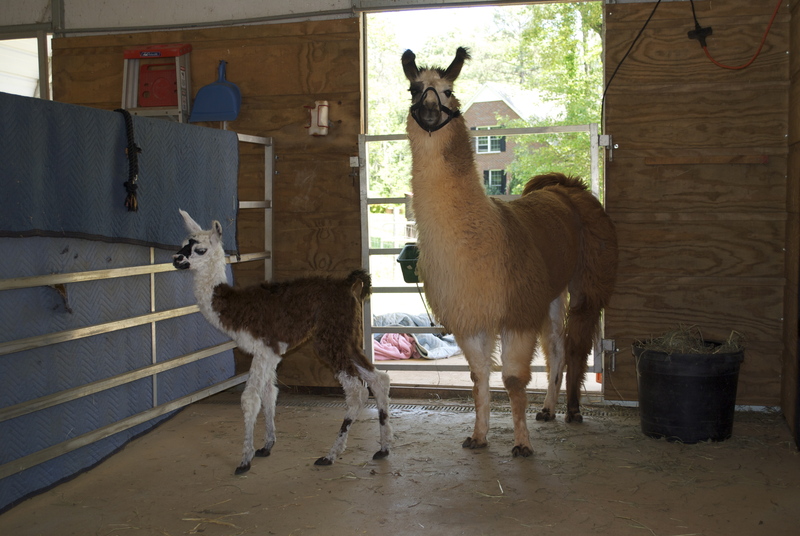 She was born on May 6, 2012 and Carol was there to help bring her into the world. That was one of the perks of working at Windy Valley Llamas. Here is Sushi with Dee, her mama a few hours later. Click here for the rest of the story about that eventful day. We left Windy Valley in September, 2012. You can see that Sushi grew up a bit. It was hard for Carol and I to say good-bye. 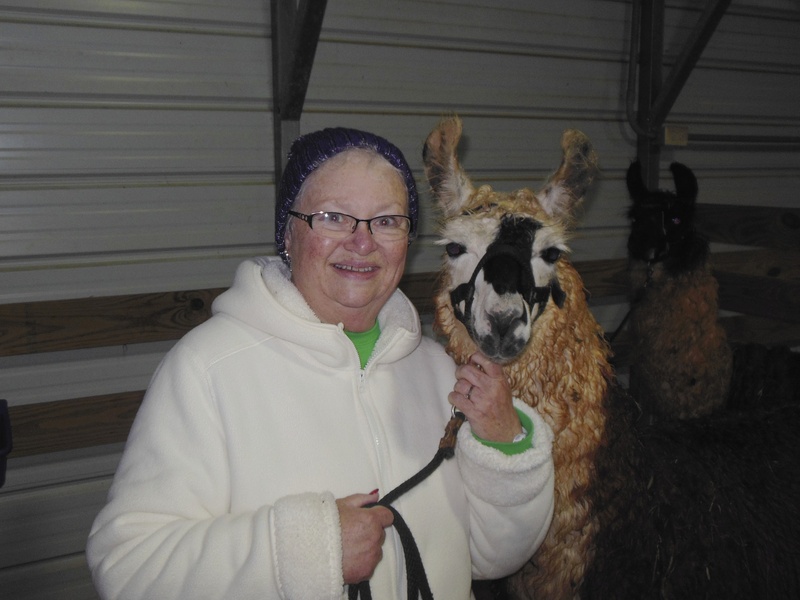 We went back to Windy Valley Llamas in December 2013 for a short visit. Sushi remembered Carol. For that story click here. It has been 2 1/2 years since we spent that wonderful summer there. 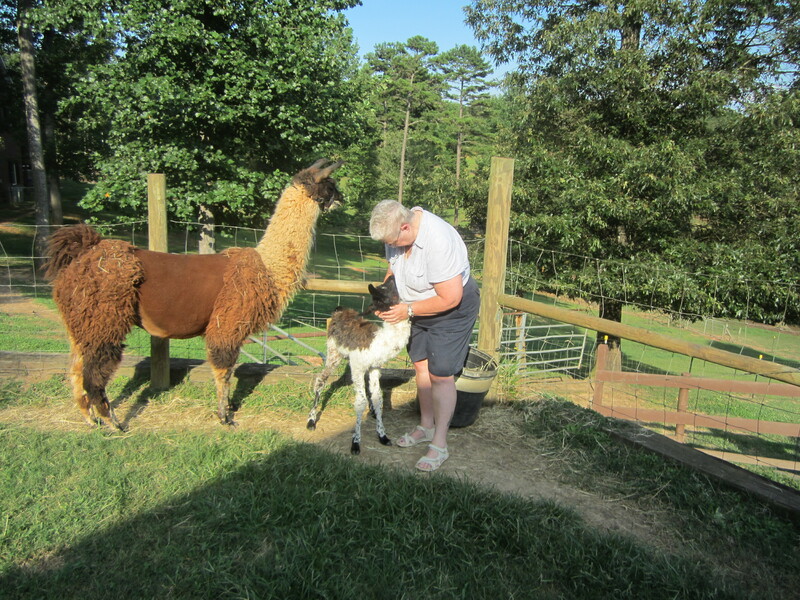 We think of the llamas and share stories about our time at Windy Valley Llama often. 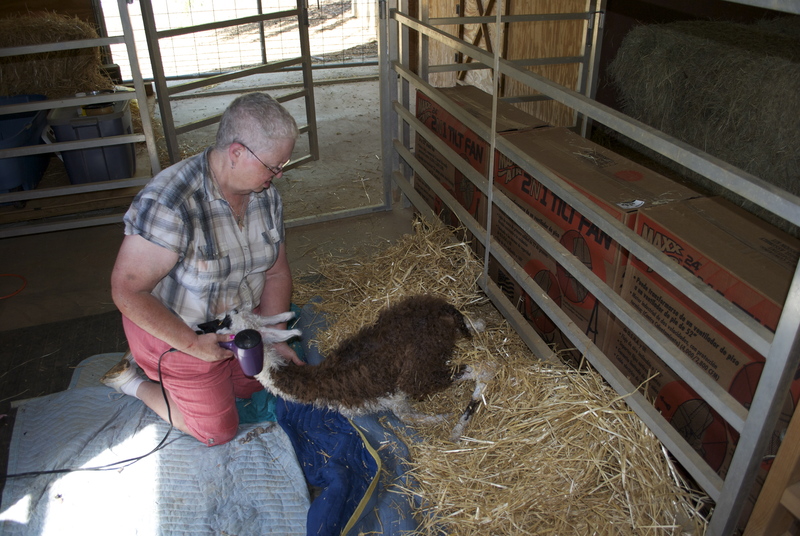 Pam and Jerry Fink, owners of Windy Valley Llamas are great people to know. 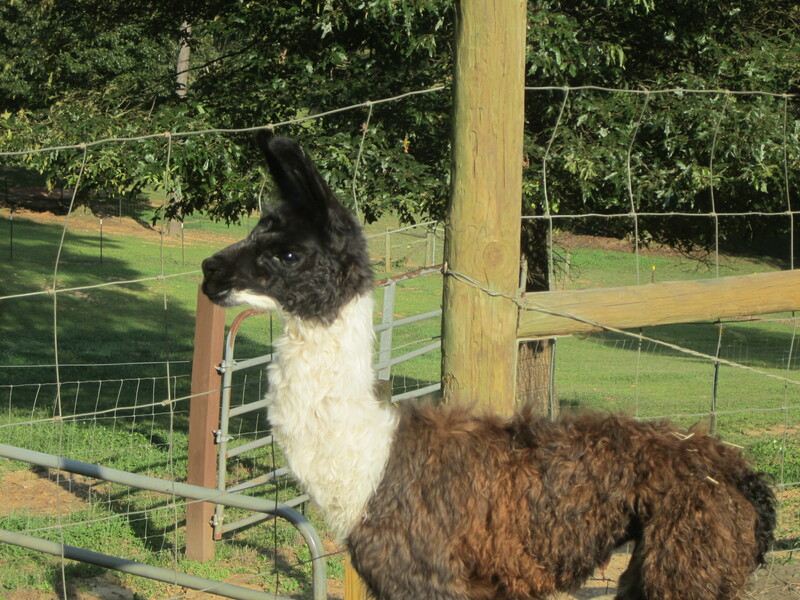 If you ever travel to Blue Ridge, Georgia, please stop by Windy Valley Llama. You will be treated like family. 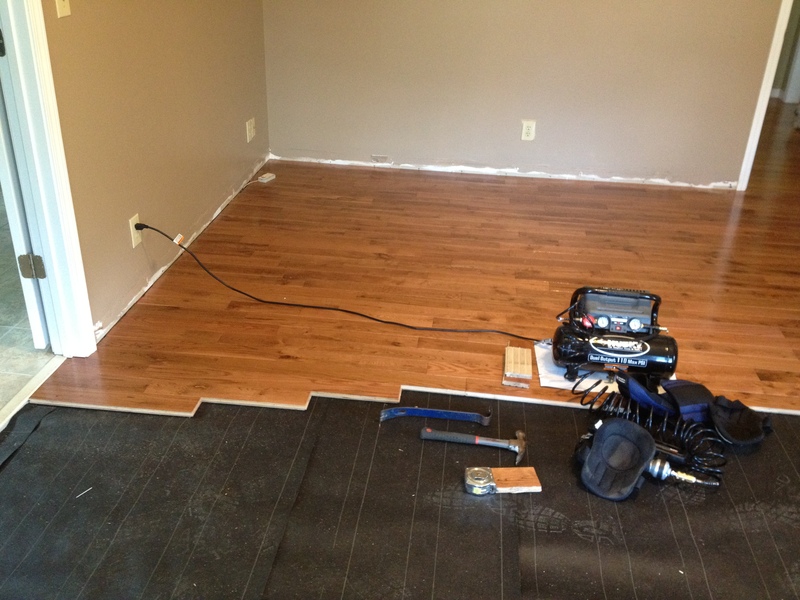 The project of installing a wood floor continues. Sunday I pulled up the carpet tack strip from the perimeter of the room, pulled the gazillion staples that held the carpet pad in place, and pulled nails from the baseboard trim so I can use the trim again. Monday I added screws to sub-floor to remove some of the floor squeak that is currently there. Sub-floor was nailed down. Nails tend work loose over time so the screws should eliminate most of the squeaks permanently. Keep that in mind when building decks. Screws may be more expensive, but you will never have a problem with loose boards on the deck. 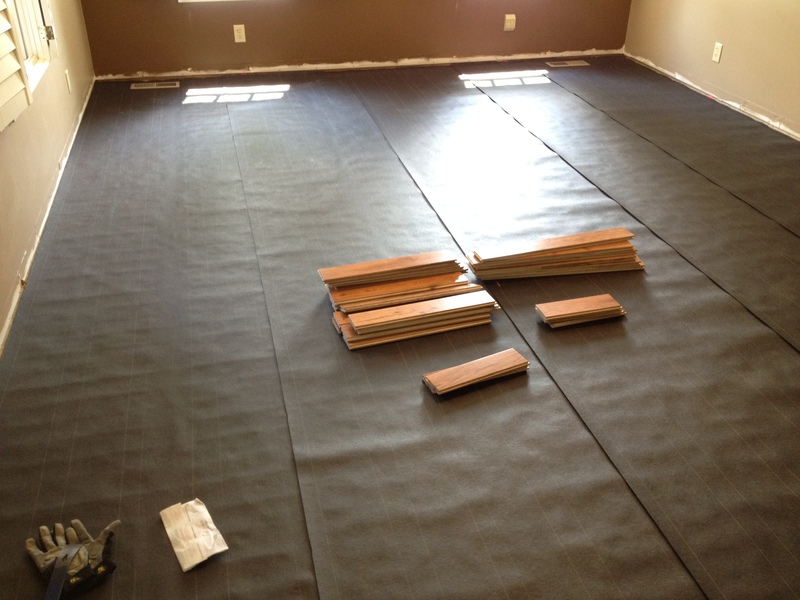 Then adding a layer of 15# tar paper will provide a sound barrier between the sub floor and new floor. This will also prevent wood squeaks. After six boxes of flooring, this is what the floor looks like today. Tomorrow, I get to put down six more boxes of flooring. After working on the floor, it was time for a break before we started our evening barn cleanup. I opted for a nap. Carol wanted to nap also but she was watching Magic pretty close. Magic was past her due date. Around 5 this afternoon, Carol stepped out of the RV to check on Magic. She called me at 5:30 and said it was time for me to get up and come check out the baby. Say hello to Junior. Magic is checking her out. Junior is a she. Carol is checking out Junior. Here is a link to a short video of Junior checking out the new environment. Junior’s sire is Frankie. Too bad Frankie is not here to see her. Pam sold Frankie shortly after we arrived. 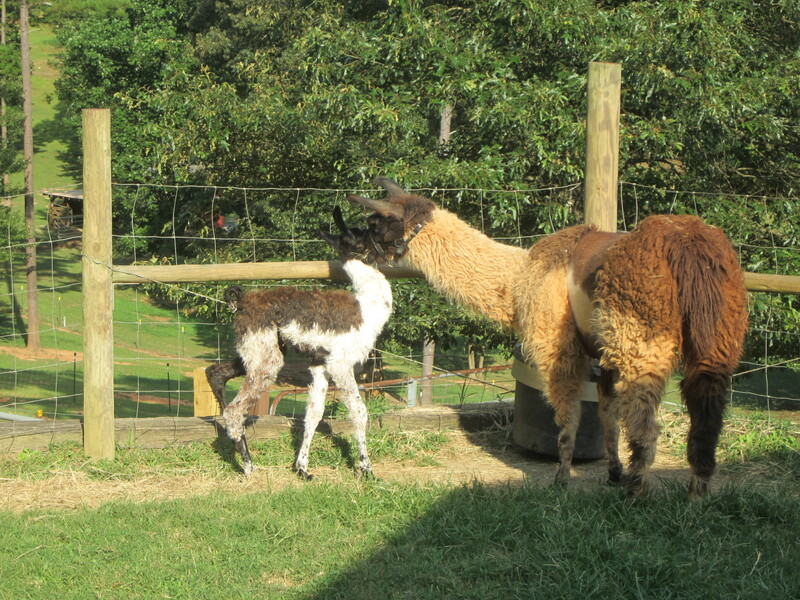 Putting down a hardwood floor and oohing over a new baby llama is about all the excitement we can stand in one day. Thanks for stopping by – y’all come back now.